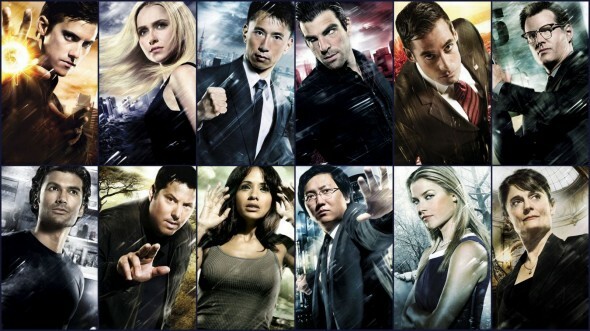 When NBC cancelled Heroes, there was talk of wrapping up the NBC series with a movie. Unfortunately that never happened and fans were left hanging. Now, they may finally get some answers. Dynamite Entertainment is bringing the Heroes series back as a comic book. It will be written by Marvel and DC veteran Cullen Bunn, a fan of the TV series. What do you think? Are you excited about the Heroes comic? Would you buy a physical copy at a comic store or online, or in a digital format? Heroes: Bryan Fuller Quits NBC Series Again; A Nail in the Coffin? You have to bring this show back. It’s really, really good. Everyone I know loves it. I finally was able to watch the series from 1-4 and I loved it . I was disappointed when the series just left me hanging at the end of season 4. There are many other series on the tube that ran for 7 seasons or more that are not even as close as good and I think some one has very bad taste in not running this series “Heroes'” By replacing Heroes’ with more distasteful subjects. I think that it should play at least for as many seasons as the 70’s show or others that run many years. A comic book? Really? Sure that’s a great idea if they’re targeting the under 14 audience (or the over 30 and live with mommy crowd). Yeah, I’ll be passing too. Ehh, Rarely do I read comic books anymore. I doubt I will be following this.